When the ladder style rocker tables started taking up too much room in the shop I switched to IKEA inspired flat stacking rocker tables. 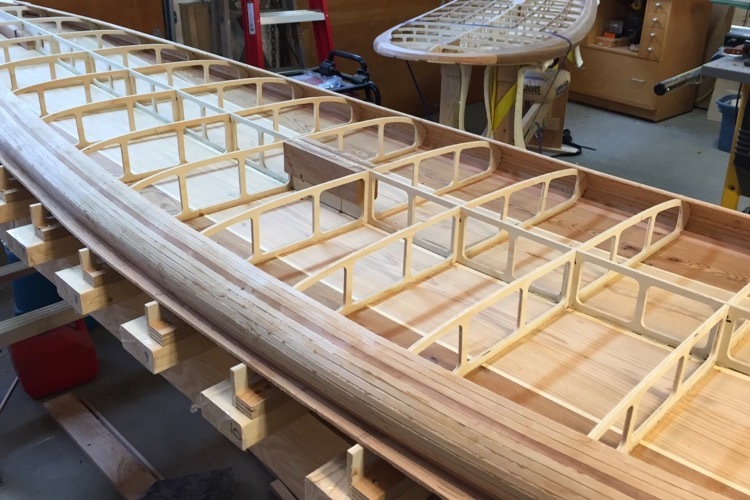 The riser heights and bottom contours exactly match the fishbone ribs that they support. Each riser is has a centre mark and its relative position engraved into the riser. The risers go tail,1,2,3….15,16,nose. 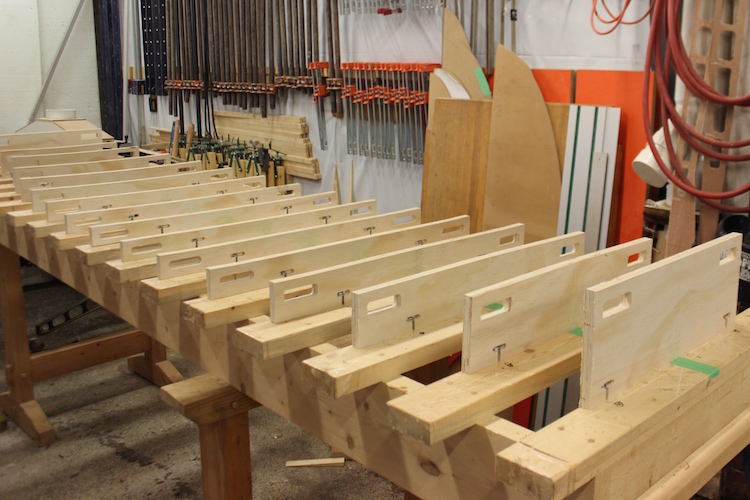 Depending on the boards overall length the riser marked nose might not have the same spacing as the rest of the risers. This will be engraved onto the riser. CNC Rocker tables are available for $99 when purchased with a fishbone. The risers shown here illustrate what a rocker table looks like without a board sitting on it. The riser heights and bottom contours match a specific board. Please note that the risers shown above are an early prototype that was fastened with 1/4-20 bolts. This fastening style is no longer used because the methods below are easier and less expensive. Some builders simply screw the rocker table risers to the face of the assembly table rungs. 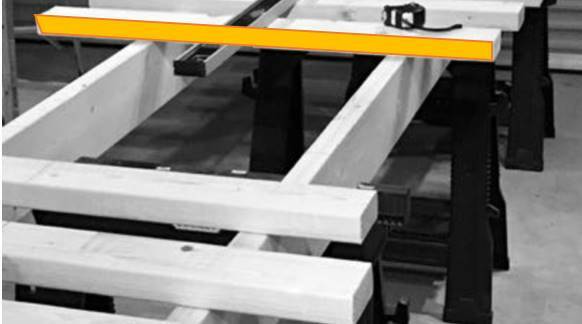 The easiest way to do this is to clamp a board to the assembly tables rung to serve as a shelf while you screw the riser to the area highlighted in yellow. After the riser is fastened clamp the shelf to the next riser and repeat until all the risers are in place. You may have to reposition the rung for the nose riser as the spacing of this last riser is engraved on the riser to match the boards length. The best option is to screw the risers to blocks of scraps wood and then position the “L” shaped assemblies on top of the rungs. With all the risers screwed to supporting blocks simply screw the blocks to the top of the assembly table rungs. This method is easy to assemble and everything can be quickly broken down and reused.